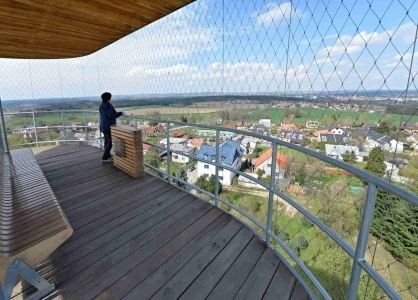 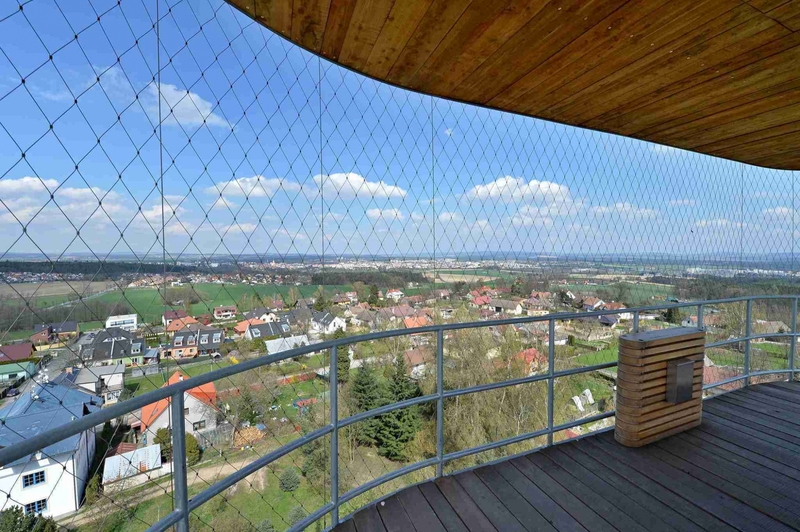 Rozhledna Svobody (Liberty Observation Tower), named Hýlačka after the hilltop whose height is 525 metres above sea level, took its shape after a Hussite tower above Větrovy hamlet and was designed by professor and doctor Theodor Petřík. On January 1, 2012, a wildfire broke out and the entire building was destroyed. 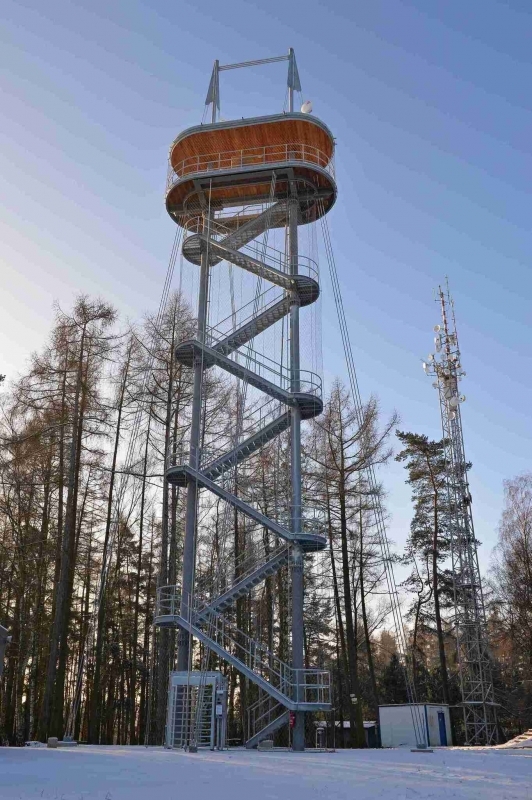 The new observation tower has a lookout platform that is 25m high (circular lookout). 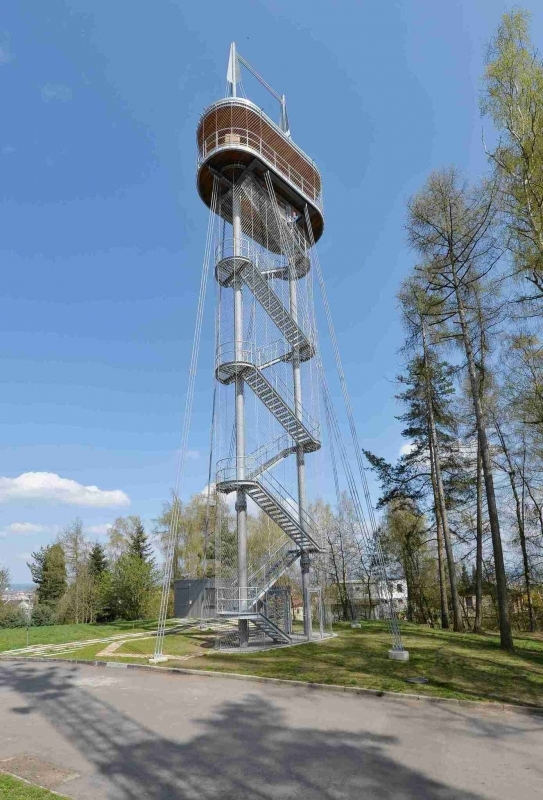 You have to climb 136 stairs to get to the lookout. 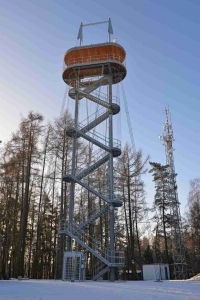 The full height of the tower is 35.6m. Its opening hours are subject to change. 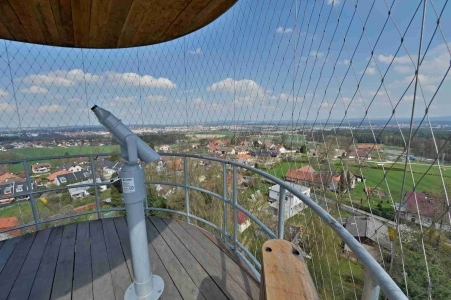 The observation tower is closed outside the opening hours. 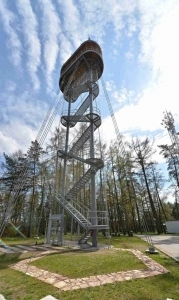 It is forbidden to enter the tower during foggy weather, ice/snow on the stairs, strong wind, heavy rain and storms. The entrance to the tower is through a turnstile; use coins or CZK 100/200 banknotes to pay.